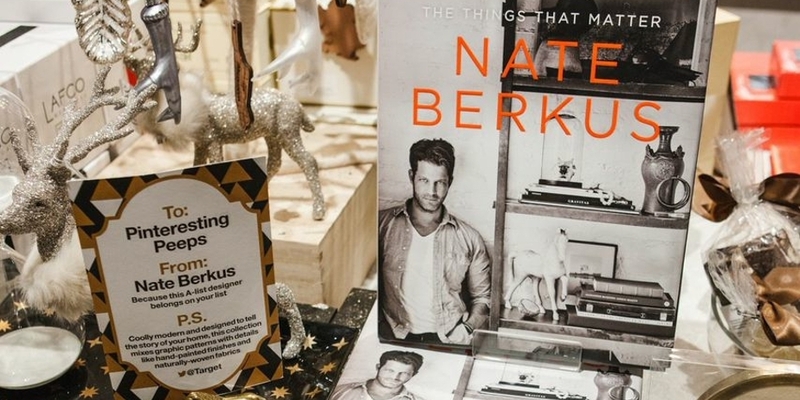 Target x STORY: Nate Berkus in the House! If Santa is the official toy courier of the holiday season, then product designer Nate Berkus is the designated decorator. His holiday collection for Target, with touches of metallic accents, adds a sophisticated hint of shine to any space — including the “Home for the Holidays” installation at STORY. Last night, Nate stopped by the New York-based boutique to participate in an intimate event with Greg Van Bellinger, design director, Product Design and Development, Target. The two talked about — surprise! — the state of the design world: how design continues to change over the years, ways that consumers impact design on a daily basis, how brands can tell a story through design and more. Those lucky enough to attend the event capped off the night with a little shopping. (Who wouldn’t?!) A Bullseye View recently joined Nate and STORY founder Rachel Shechtman in a lively discussion about the Nate Berkus at Target pieces she picked out for the boutique, and what inspired their design philosophies. The result? A gift-guide-come-to-life. Check it out in the video below.